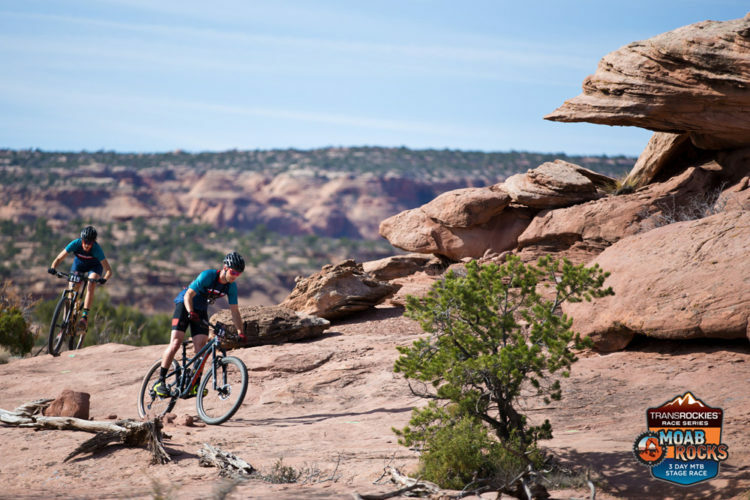 This weekend I raced my first ever XC stage race, the TransRockies Moab Rocks. 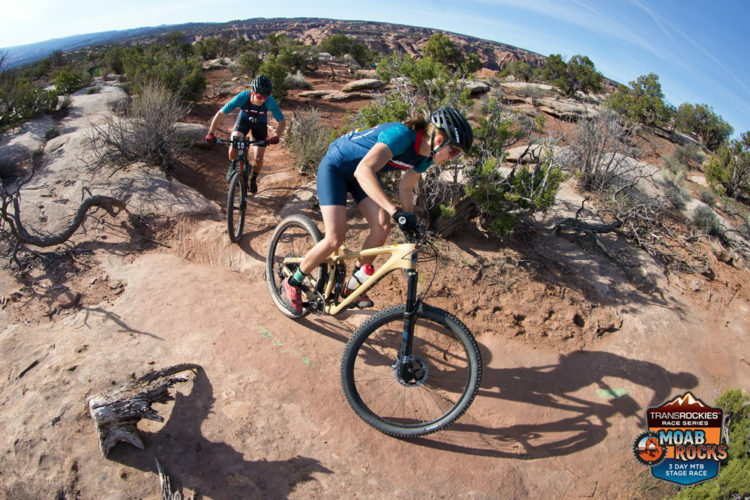 Since Macky and I will be racing BC Bike Race as a duo team later in the summer, our coach Mike suggested we do Moab Rocks as a trial run, and we were like, yeah that makes a lot of sense. After all, doing an 8-day race as your first ever XC endurance race is probably a bad idea. (We were also like, wait what, you ride all the way up the ROAD to Porcupine Rim? Send help). I came into this race with zero expectations (or at least very low ones) for a few reasons. One, I was going to be racing a trail bike not an XC bike. You know, run what ya brung, etc. Two, this was very much a training race and we did several big rides in the week leading up to the race. Three, I’ve never done a race like this before and had literally no idea what to expect from my body much less the results sheet. So, for Moab Rocks? No expectations, just an opportunity to go hard and, if everything else failed, make myself a little fitter. And so, here we are, once again arriving at the conclusion that expectations are the devil. I’m starting to think this is why I have been so drawn to trying new things as an MTB racer — because I’m so damn tired of not meeting my own (highly unrealistic, wildly high) expectations. If I keep putting myself into new situations, maybe *just maybe* I can get through a race without my brain ruining it for me. That’s what happened this weekend. I just rode my bike. Macky and I rode together to practice our strategy for BCBR. He learned not to sprint off the start line and I learned not to ask questions I don’t want to hear the answer to — like “how many miles left until the top of this mother-effing hill?” We had fun. We went super fast on the descents (in spandex none the less). We rode through a blizzard on a trail called Alaska. I absolutely buried myself on the flat technical riding that used to be my absolute nemesis but now, maybe, after a winter of gym work and Riprow, is more of a strength than a weakness. Whatever my expectations or lack thereof, I definitely surprised myself. 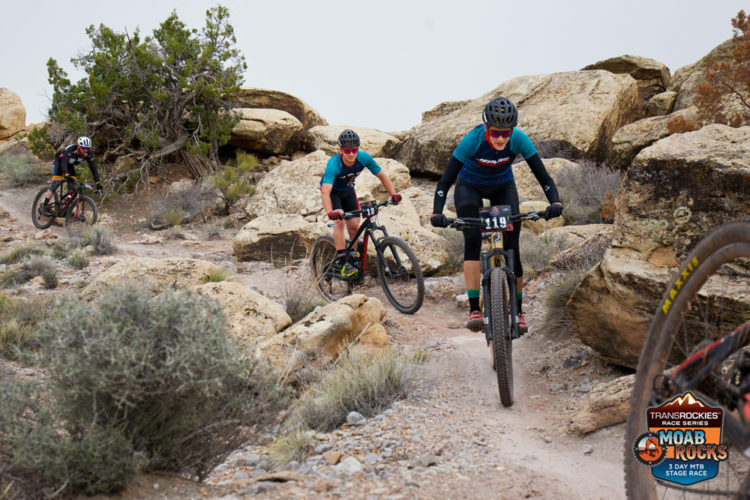 My enduro fitness transferred WAY better than I would have anticipated to this type of XC race (there were lots of rocks), and my 130mm trail bike ended up being the perfect weapon. I even found myself on the podium for the second day (completely accidentally, mind you, because I had no idea there were only two women ahead of me) and 5th overall at the end of three days. I’m really pleased with this, but mainly I’m pleased that I had fun racing my bike for three days in a row. If you want a blow-by-blow of each day, check out my instagram, and/or stay tuned for the first vlog, which will drop on the Syd and Macky Youtube on Friday.